Never, I repeat, NEVER, make eye contact with a fellow Zara sales shopper. This applies to all stores in the season of the sale, but Zara in particular. Women are ruthless, they know what they want and they won’t be afraid to give you puppy-dog eyes if you’ve both got your hands on the same silk patterned shirt in the last size S.
Rule number 1 of sales shopping is that everyone is the enemy, even the distressed-looking toddler that is being dragged over the boyfriend jeans table until his mum finds the last pair in her size. Definitely never look a sales-child in the eyes, they’ll bring out your weak side and before you know it you’ll be offering their mother the £7.99 culottes you’ve wanted for ages and the pin number to your debit card. (Side tip: it may even be appropriate to bring a whistle and two friends à la Monica, Phoebe and Rachel’s wedding dress shopping trip, but that’s for another post…). It’s 6.30pm on a warm, calm evening somewhere across the mediterranean. 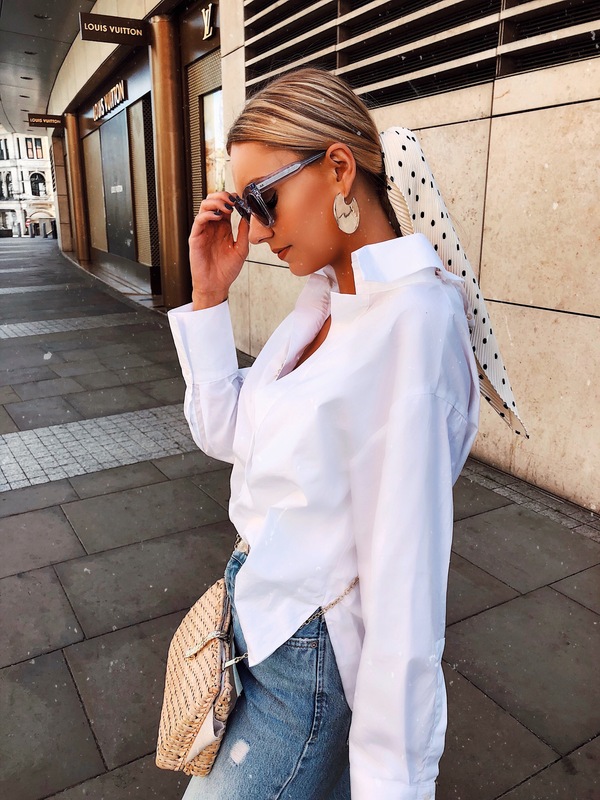 The sun is setting and your outfit looks like you’ve walked off the set of a 1950s Hollywood blockbuster (except the five croissants you shoved down you during the continental breakfast doesn’t quite give you a stomach like Audrey Hepburn… I digress). You get some lone selfies but you and your bf are swept with disappointment when you realise you’ve not got a third person to capture the magical moment. In such a scenario, they key is to stare down passers by. Avoid anyone with a vague whiff of ‘criminal’ about them (you can usually tell by the type of sandals they’re wearing) and maintain a steady gaze with a quiet looking middle-aged couple walking hand-in-hand. Chances are, you won’t even have to ask before they head in your direction to see if you’d like them to take a picture of the two of you! When you’re lying to someone about how much food you ate yesterday and how well you’re doing in your diet (you don’t want them to see the glint in your eye that that giant vanilla cupcake gave you). Yes, it may be obvious that you need to maintain eye contact when waiting to be served at the bar, but do you actually carry this out? Not always. Are you instead complimenting the girl next to you on her green and white Monki wrap dress that you ALMOST bought in the sales and are really regretting that you hadn’t? Yes, that’s you. If, by some unfortunate circumstances, you can’t master the eye-contact game, I suggest finding a friend, clearing a space in your diary and practising for an afternoon. Your lack of skills aren’t worth missing out on the last Zara silk patterned shirt. I assure you.